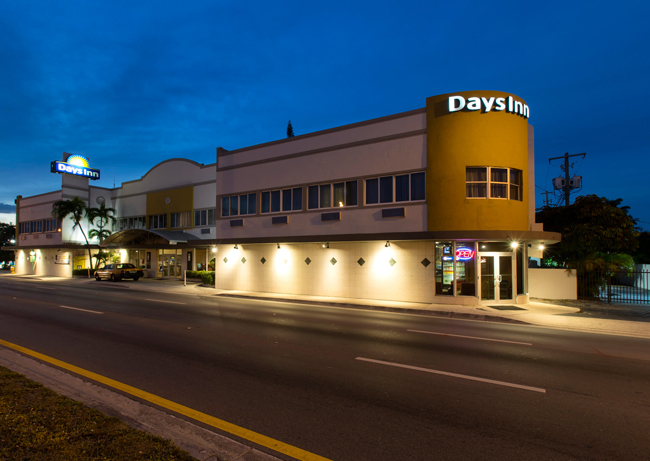 Our goal is to insure that every guest experiences a pleasant and comfortable stay at the Days Inn Miami Airport North. Our hotel is committed to continuing to improve and we welcome your comments. Please do not hesitate to contact us with any questions, comments or suggestions. The Days Inn Miami Airport North is committed to diversity, inclusion and accessibility. These core values are fundamental to the way we do business and manifest themselves in the experiences we design for people–both at our resort and on the web. With this in mind, we are actively taking steps to improve daysinnmiamiairport.com and to the extent practicable ensure it complies with the best practices and standards defined by the Web Content Accessibility Guidelines (WCAG) 2.0. While we strive to make the company's website as accessible as possible, and are currently updating our site to meet the WCAG 2.0 standards, our pages may not always pass online testing or validation tools. In addition to the company's efforts to improve the accessibility of its website, it urges third-party vendors providing content on its websites to adhere to the WCAG 2.0 standard and will consider compliance with this standard when selecting third party vendors, however some third-party content that currently appears on our site is outside of our ability to control. The company's Digital Marketing Manager conducts monthly automated scans and periodic manual evaluations to monitor, analyze and help repair accessibility issues found in our website. As we continue to improve the accessibility of our website, we will review this policy to ensure that it reflects the company's efforts and commitment to accessibility. The company is committed to making its website accessible to customers with disabilities.